Web Design Course has always been one of the most lucrative jobs which attract thousands of educated youngsters every year. Web design is one of the important departments in any I.T. 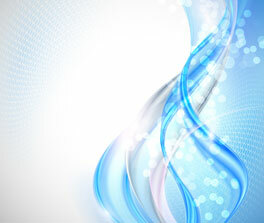 company and without which creative and beautiful website design cannot be imagined. Because of promising career, scope for creativity, high paying salary and challenging job, a lot of youngsters opt for career as a web designer. But in most of the cases, candidates make mistake while taking right decision in right time. Also, makes blunder in choosing right training institute and in spite of paying hefty fees, one ends up either getting very less salaried job or no job at all. Whether one wants to do web design course or any such career related I.T. course, most of the students get confused where to learn so that one gets value of money as well as 100% Job guarantee after completing this course. Acesoftech Academy is one of the best Web Design Training center in Kolkata which assures you of high-quality, placement focused and real-world projects based training. Does this mean that you have to shell out thousands of rupees for getting this advance and current industry oriented course? No, not at all, our course fee is much less than other web designs training institutes in Kolkata. The question remains, when there is no dearth of I.T. training institutes in Kolkata which promise job placement assistance, then what sets Acesoftech Academy apart from other institutes? We are the first training center in Kolkata to include CSS3 in our web design course. We are the first training center in Kolkata to include LESS & SASS in web design course. Anyone who wants to build a solid career as UI/UX Designer/Developer. Web Designers who is aleady working in the industry but want to enhance and upgrade their knowledge. Website owners who wants to maintian theier websites. Project managers who want to monitor and assist the team. 1.Course Content: Our course has been designed as per current and future industry demand with latest technologies. The course has been designed by the industry expert. You may compare the course content and fees with other institutes in all over India and you will see the difference yourself. 2. Professional and Industry oriented trainers: Our trainers are industry expert and have excellent knowledge of working in industry as well as providing training. 3. Project is priority: To get real world exposure, it’s necessary to work on project. Without project, you will not get idea how in the industry work is done. We provide free domain with this course which is totally yours and you can make your projects live on this domain and include in your CV. 5. 100% Job guarantee: We provide 100% Job guarantee with this course. For details please click here. 6. Low fees: Compare course duration, course content and then compare fees. You will find lowest price in the industry. 7. Book & CD: As you know, it’s not possible to cover each and every aspect of Web Design in this short span of course. Extra useful and advance subjects are provided in book so that you can get in-depth knowledge of particular subjects. 8. Other study Materials: Apart from book we provide other useful graphics and videos also which will be very useful for enhancing your knowledge through practice. Who should you join this web design course in Kolkata? Graduate who wants to build a solid career in web design. Web Designers who want to get advance web design concept and exposure. 12th pass candidates who is struggling for getting jobs. Graphic designers who want to make a great career in web designing. Small and medium company websites owners who want to have web design knowledge to monitor clients and staffs. Candidates who want to learn modern and current web design technologies for designing super interactive websites. You will get latest and modern web design course. You will have confidence of designing latest trend websites. Will learn how to build a fast loading websites. How to use ftp and upload server. How to make a websites live and how to edit the files on server. You will get 100% job placement if you are in Job interested. Hi, I Dharmendra Shaha and I have done web design course from Acesoftech Academy and I am currently doing job as web designer in Kolkata. Superb Training!